The last couple of weeks I've been busy crocheting different doilies, just to sew them all together to one larger table cover. I saw this idea here and loved it so much, that I wanted to make one, too. 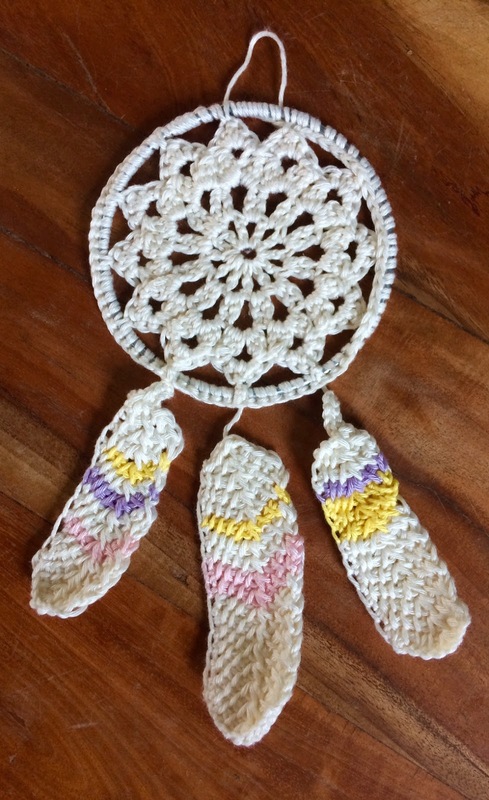 My Tunisian Crochet Feathers were featured by City of Creative Dreams and by Creative Jewish Mom!! Thank you, Shanice and Sara! 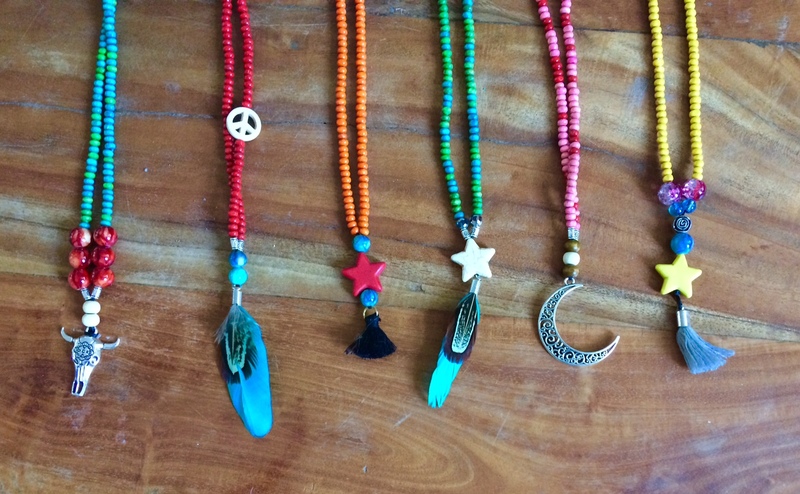 The Necklaces that my daughters of 9 and 7 made for a Garage Sale, are also featured by Creative Jewish Mom! 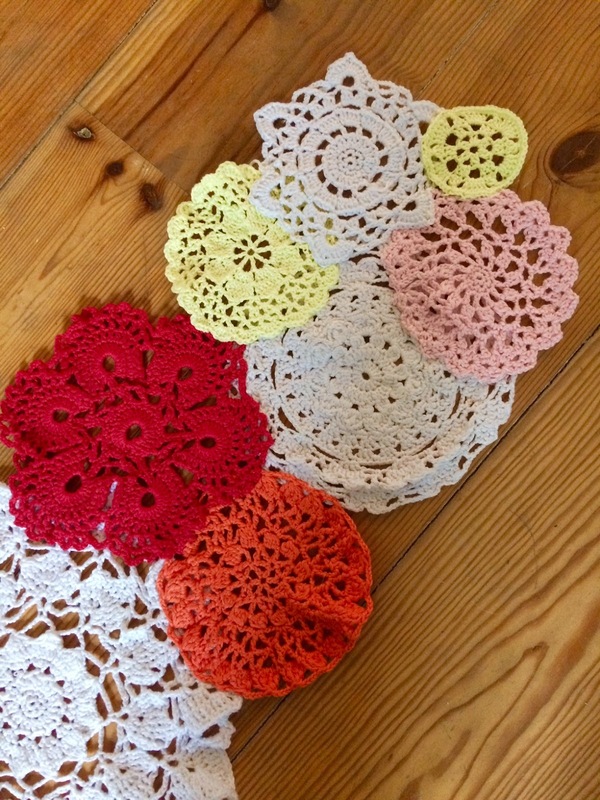 That doily table runner looks amazing! What a fun idea. I love that you can pick different doily patterns and really make it your own. Such an inspiring post!Loved it! Really pretty!! I might have to try this with antique store doilies. 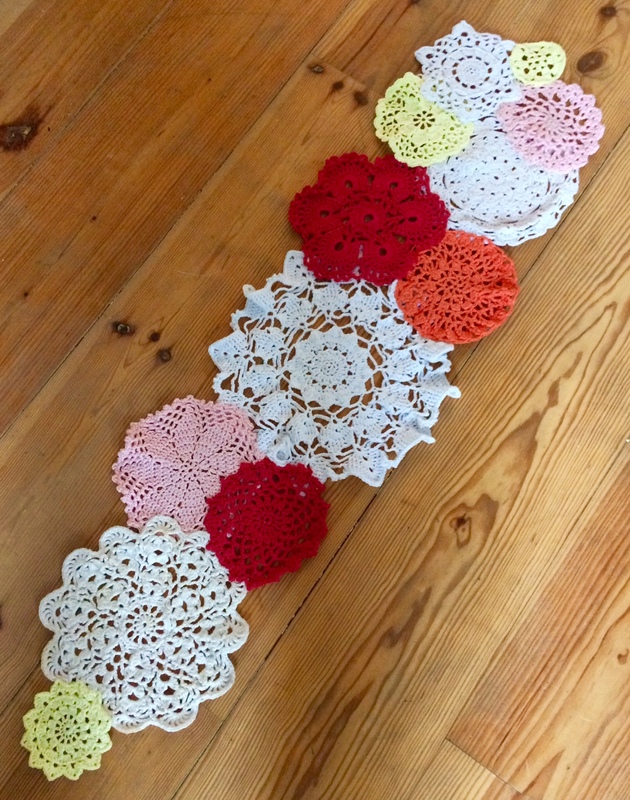 I love doily crafts - your table runner is so pretty. Wow! You are super-talented to crochet all of those different doilies. They are lovely. I really like the 'flow' of the doily table runner. Very pretty. Your table runner is beautiful! Love the colors! I would love to have one of these on my table! Thanks for sharing! Such a cute idea for doilies! The colors are so pretty! Lovely! I almost made one of these a few years back, but got sidetracked by other things. Seeing yours makes me want to finish mine. 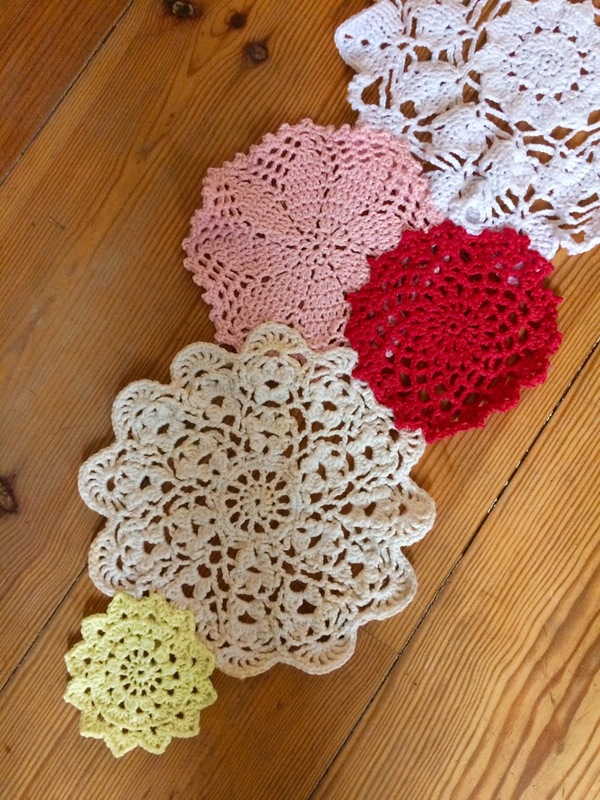 Liz, A doily table runner is a great idea! Nice texture and I love the lacy feel. Thanks for sharing. Have a great day! Sylvia D.
That is so pretty. I had also been inspired by that same idea. The difference is you've done it, I haven't! I've seen this done, but yours is extra special because you crocheted you own doilies! Thanks for sharing with SYC.